Vitamin D Could Potentially Benefit Asthmatics | Asthma. Technology. Games. FoxNews recently posted an article that discusses new research in regards to Vitamin D’s effect on asthmatics. The study, conducted in Iran, gave supplements of Vitamin D to asthmatics for 6 months. The patients had better lung function and were able to breath easier. However, Dr. Mario Castro, a professor of Pulmonary and Critical Care Medicine at the Washington School of Medicine, said that the study didn’t measure the effect on symptoms which is equally, if not more, important. The study, conducted at the Medical University in Tehran, examined 130 children and adults with mild to moderate asthma. It was published in Annals of Allergy, Asthma and Immunology. The study, if done in a larger spectrum and measured additional factors, could provide doctors more information regarding Vitamin D and asthma. Asthma sufferers who received vitamin D supplements for six months, in addition to their regular inhalers, could breathe a little easier than those who relied only on the inhalers, in a recent study in Iran. The researchers say the results – if confirmed by larger studies – might help the many people who sometimes have troublesome asthma symptoms even though they use medication. “It does build some on the growing amount of data that shows vitamin D might help those affected by asthma,” Dr. Mario Castro, who was not involved in the study, told Reuters Health. But Castro, a professor of Pulmonary and Critical Care Medicine at Washington University School of Medicine in St. Louis, Missouri, pointed out that the researchers only measured patients’ lung function, and not whether or not their symptoms improved. “Given that vitamin D is a relatively benign supplement,” the small improvement in lung function “would be worthwhile if it was confirmed with other improvements in asthma control,” he said, such as fewer symptoms or a reduced need for medication. About one in 12 individuals, or 25 million people, have asthma in the U.S. alone. In the last decade, the number of people with asthma has grown by about 15 percent. Higher rates of asthma in northern climates have led some researchers to suspect that less sunlight – and therefore less vitamin D – could be playing a role. Several studies have shown a link between low vitamin D levels and asthma. The new study, by Dr. Saba Arshi at the Medical University of Tehran and colleagues, involved 130 children and adults with mild-to-moderate asthma. Everyone received asthma medication in a dry powder inhaler (budesonide, sold in the U.S. as Pulmicort, or budesonide plus formoterol, sold in the U.S. as Symbicort). In addition, half the group was randomly chosen to receive high doses of vitamin D for six months. The first dose, 100,000 units, was given by injection; then patients were instructed to take 50,000 units orally once a week. After eight weeks, when the researchers measured the amount of air patients could exhale in one second, both groups had improved to roughly the same extent. But after 28 weeks, that amount had improved by about 20 percent in the patients who received vitamin D supplements, versus about 7 percent among those who only used the inhaler. The authors did not respond to questions about the study, which was published in Annals of Allergy, Asthma and Immunology. Castro thinks the patients in the study weren’t particularly deficient in vitamin D.
“This is another weakness as they enrolled patients with normal vitamin D levels, so (they’re) unlikely to see a treatment effect,” Castro said. 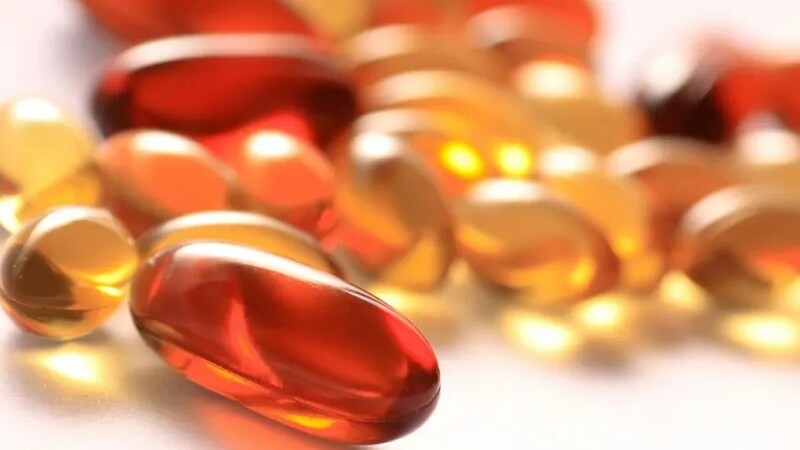 He would not recommend that patients with asthma take vitamin D supplements based on this study and one of his own studies, though his research found some people with deficient levels improved after supplementation. Dr. Doug Brugge, a professor of public health and community medicine at Tufts School of Medicine in Boston, said he thought the study added to the field of asthma and vitamin D research. “I think it adds some evidence that vitamin D may be beneficial in terms of treating asthma, which in turn contributes some evidence that vitamin D is a factor in asthma,” Brugge, who wasn’t involved in the study, told Reuters Health. He noted that most asthma research has focused on children, but this one included adults. “There really is a need for more research on asthma in adults,” he said. But Brugge, who has studied the possible environmental causes of childhood asthma, said the study would have been more convincing if researchers had checked whether patients took their medication as prescribed (other than asking by phone) and included any exposure to environmental triggers of asthma. “It leaves a little doubt in my mind . . . what if the intervention group was adhering to the medication more than the control group? I think it’s unlikely but it would have been nice to see that a little more clearly addressed,” said Brugge. Brugge too thinks more studies are needed before anyone can assume that vitamin D would help people with asthma. “I think it’s a reasonable hypothesis and their study and some other studies provide evidence it might be true. But I don’t think it’s proven yet,” said Brugge.